UPSC (Union Public Service Commission) has invited interested job aspirants to fill application for Software Designer, Senior Developer vacancies of Trained IT Manpower on contract basis. Interested applicants can apply online till 12-December-2014. 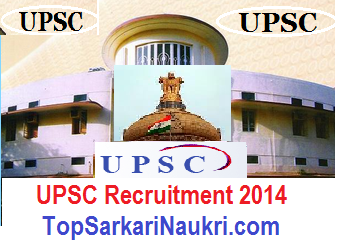 For more information for the UPSC Recruitment 2015 as age limit, qualification, selection process, application fee, how to apply are mentioned below. Education Qualification: Interested candidates should have B.E/ B.Tech degree in Information Technology/ Computer Science or MCA (Regular Course) from Government recognized institute/ university. Pay Scale: Please refer Original Advertisement.